Welcome to the Youth and Family Services Department. 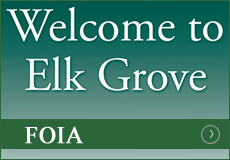 As with all Elk Grove Township Departments, the Youth Services Department is committed to efficiently and professionally meeting targeted needs of Township residents. 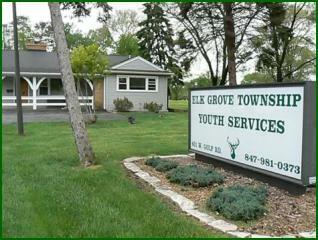 The Youth Services Department provides sliding fee based counseling services to Township youth and their families, while also offering “life skills” building groups through its Challenge Program. To inquire about these services, call 847-981-0373 or visit the links below for further information. Download our parental permission form. 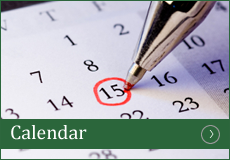 Clinical Director – Dean Reschke, M.S. LMFT: Mr. Reschke is a licensed Marriage and Family Therapist and a Clinical Member and Approved Supervisor of the American Association for Marriage and Family Therapy. Dean has a Master’s Degree in Counseling Psychology from George Williams College and has been the Clinical Director since 1983. Dean is married and has two daughters. Family Therapist/Social Worker – Robin Wilson, MSW LCSW: Ms. Wilson has a Masters Degree in Social Work from the University of Wisconsin – Milwaukee. 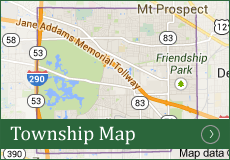 Robin is a Licensed Clinical Social Worker and has been providing therapy and social work services since 1986. Robin is married with two daughters. Challenge Program Coordinator -Renee Dorn, B.A: Mrs. Dorn has a bachelors Degree in Sociology from Northeastern University. Renee has been on staff since 1989, initially as a course facilitator and now as the coordinator of the Challenge Program. Renee is married with three children. 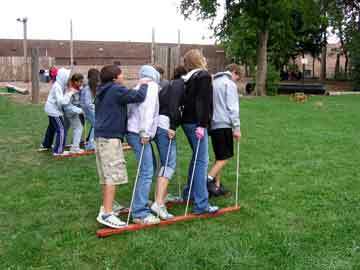 The Challenge Program helps children develop social skills and leadership through experiential learning in small groups. We offer groups for ASD children, children who have trouble making friends, for girls (girls empowerment), bullying prevention, and others. 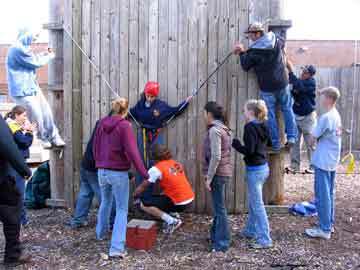 We also offer team building for groups such as boy scouts, girl scouts, sports teams, and church groups. 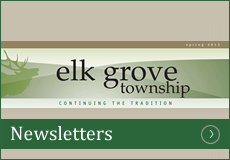 Please contact Program Coordinator Renee Dorn (RDorn@ElkGroveTownship.Com) for more information. The “Discussion Starter” is the newest product for SAMHSA’s “Talk. They Hear You.” is set on a within a community setting showcasing a variety of situations that parents and caregivers could have a conversation about alcohol, and culminating into and school basketball court where 12- to 13-year old boys are playing a Saturday morning game. The parents (Bill and Diane), arrive after the game is underway, and sit down with other parents in the stands. Each parent is engaged in conversation with other parents, and then engaged in a discussion in the car that leads the parents (Bill and Diane) recognition that they needed to talk with his own son (Tim) and younger daughter (Katie) about alcohol use. Click here to begin the video.